These hearty pancakes hit the spot for a weekend Brunch or an easy pancake breakfast. Blueberries are rich in antioxidants, Vitamin C, fiber and manganese. 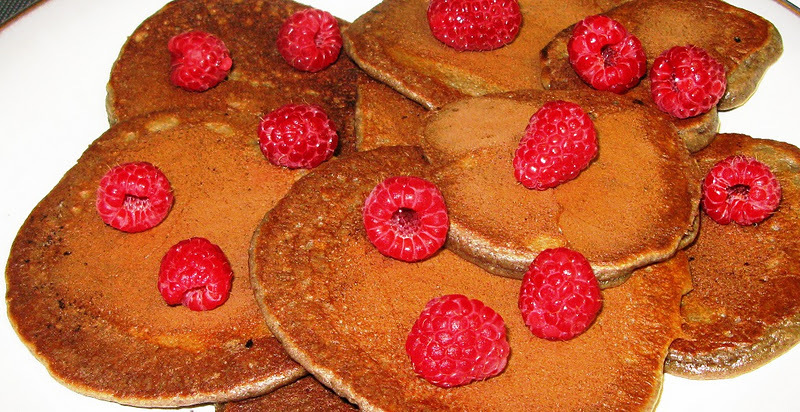 The quinoa flour in these pancakes adds plenty of B Vitamins, calcium and protein to the mix as well. In a medium bowl, mix eggs, melted ghee, coconut sugar, vanilla extract, stevia and almond milk. Add the flours, guar gum, baking soda and baking powder to a large bowl and stir with a wooden spoon. Pour the ingredients from the medium size bowl in to the large bowl and whisk for several minutes. Using 1 teaspoon of ghee, lightly grease a nonstick griddle. Heat griddle to 350 degrees. Place 1/4 cup of batter onto the griddle and sprinkle frozen or fresh blueberries on top. Cook for 2-3 minutes per side and then flip with spatula. I love to make pancakes on the weekends. There is something so priceless about eating together as a family, catching up on the week, and enjoying a delicious, hearty breakfast. This morning I was craving something different. I searched my cupboards for ingredients I had on hand. 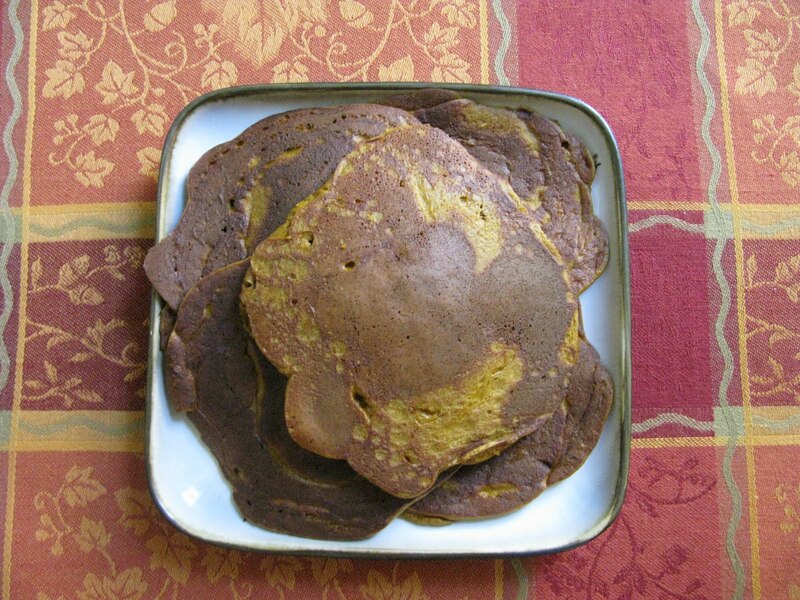 I came across a can of organic canned pumpkin and a light bulb in my head went off-“Pumpkin Pancakes.” I hope you enjoy the recipe. Puree ingredients again. Pour 1/4 cup of batter onto pre-heated and greased griddle (I use coconut oil) or non-stick pan. 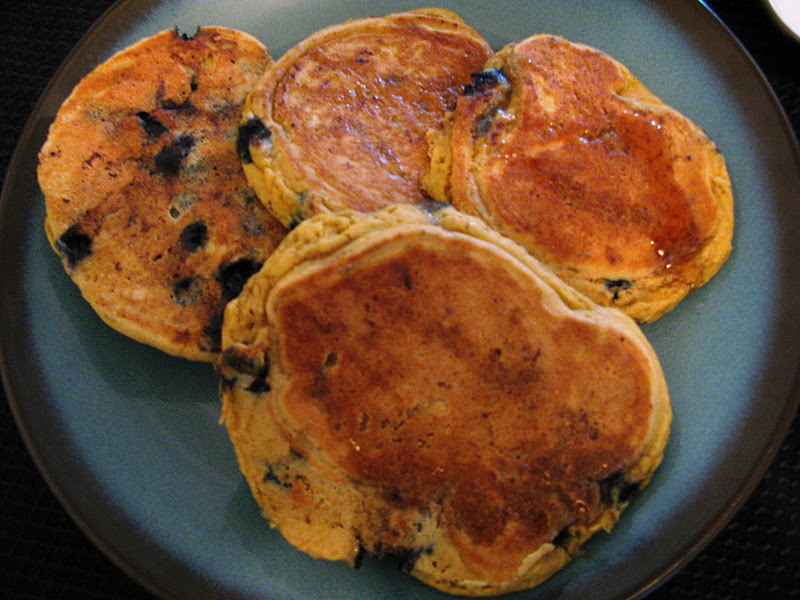 Use a spoon to spread about the batter into a round pancake shape. If using non-stick pan, cook over medium heat. Flip pancake to other side after approximately 2 minutes. 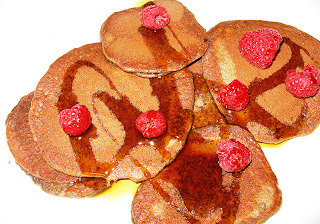 This recipe was shared on Pennywise Platter Thursday, Full Plate Thursday, Real Food Wednesday, Gluten-Free Wednesdays, Traditional Tuesdays, Totally Tasty Tuesdays, Slightly Indulgent Tuesday, Fat Tuesday, Fresh Bites Friday, Freaky Friday, Monday Mania, Friday Food Flicks, Tasty Tuesday, Tempt My Tummy Tuesday, Homestead Barn Hop and Hearth and Soul Blog Hop.